An offer of a €100 bar tab may be increased to entice DCU’s NuBar couch thieves to leave back the missing sofa. 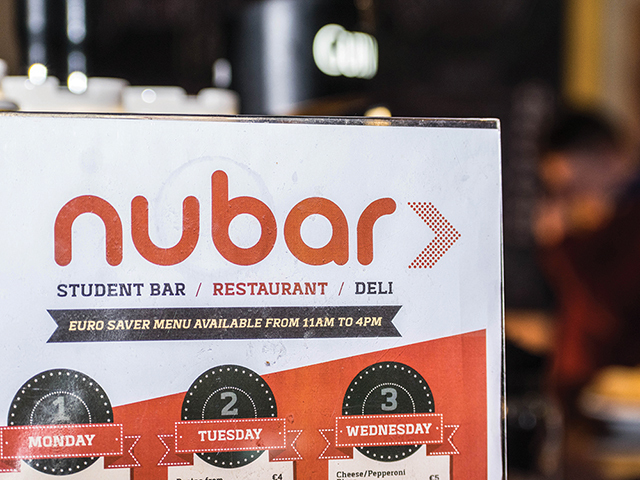 NuBar staff originally offered a €100 bar tab to whoever “borrowed” the couch but are considering increasing that tab if it is not returned soon. “Yes the bar tab is real, we don’t condone anyone stealing and it is wrong but, we know it was taken as just a joke. And it’s all a bit of fun to see can they sneak it back in,” said NuBar manager Dave Kineavy. The couch was officially noticed missing on Wednesday after DCU’s student night Shite Nite last Tuesday. It was officially seen last Friday however. “It was left at the top of the venue beside us so we think [it] was taken [sic] from in there somehow,” stated Kimeavy after he was asked how one might have stolen the piece of furniture from the venue. “Ok guys, we are missing a couch from the bar ?? ?, if someone has “borrowed” it if ye can sneak it back into the bar without getting caught, we will give you €100 bar tab ??. The “chancers,” – as they were referred to by Kineavy – have yet to leave back the couch. “Well I’m hoping it comes back before we close tonight for the weekend,” said Kineavy. It is unclear by how much the bar tab on offer may be increased.